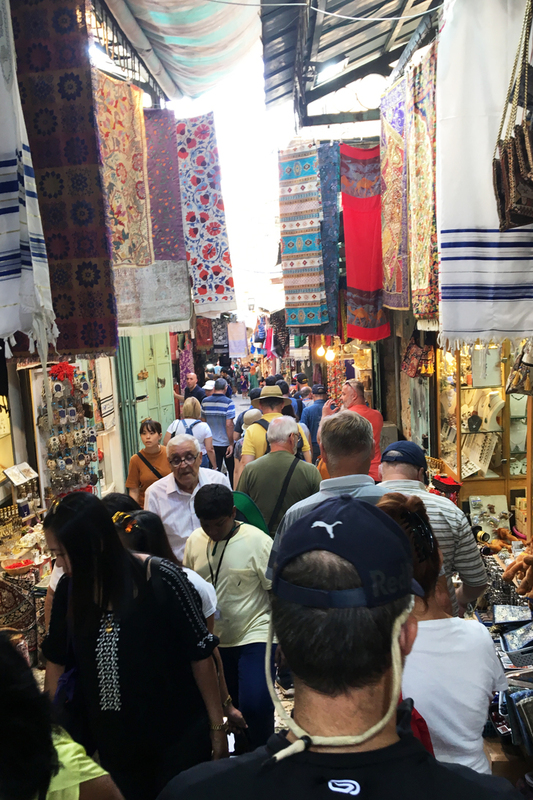 With around 900.000 inhabitants Jerusalem is the largest city in the State of Israel and it is one of the oldest cities in the world. 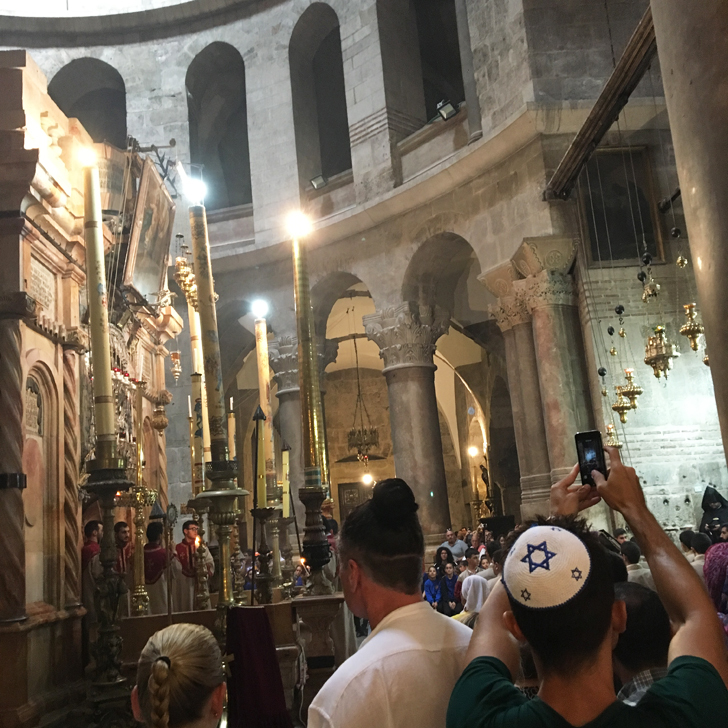 Jerusalem is a city of importance for all major religions. 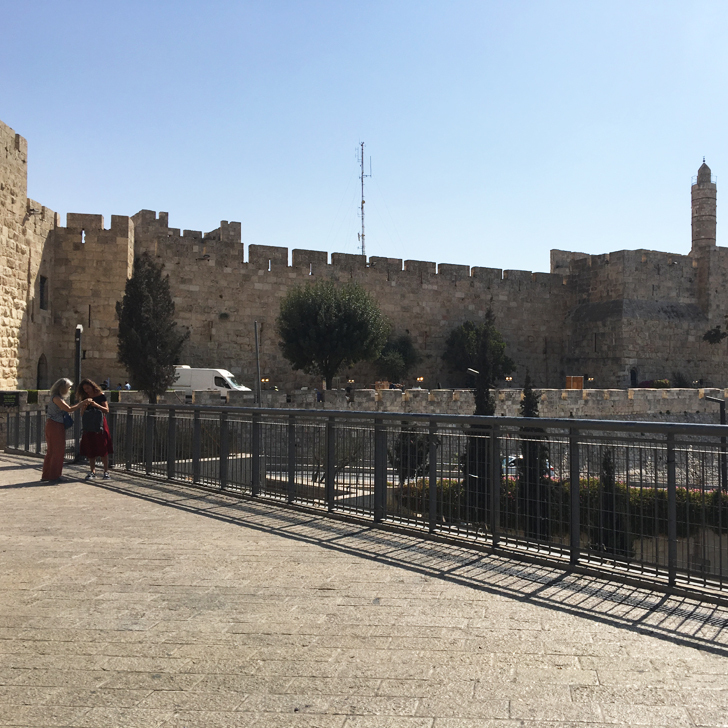 The Old City of Jerusalem is a walled area (approx. 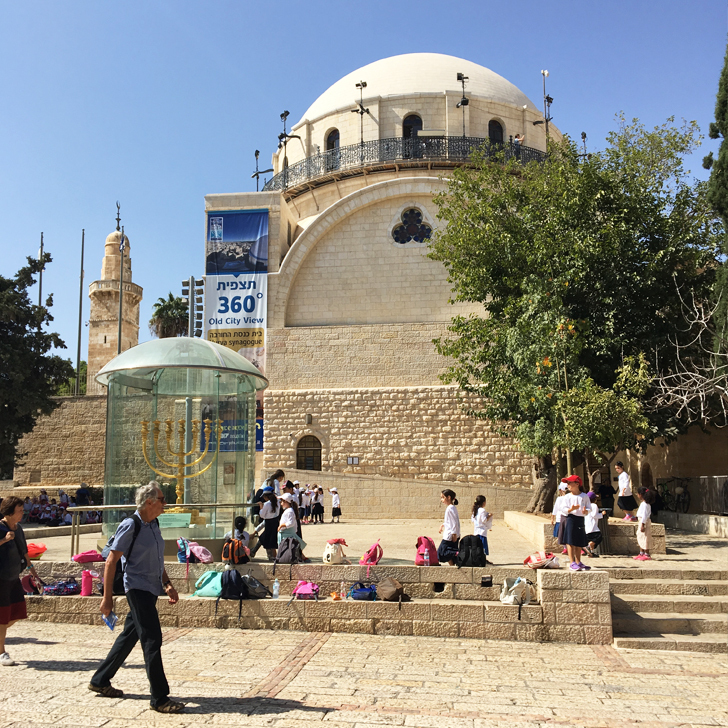 0.9 square kilometres / 0.35 square miles) set within modern Jerusalem, as the city has long outgrown its ancient city walls. 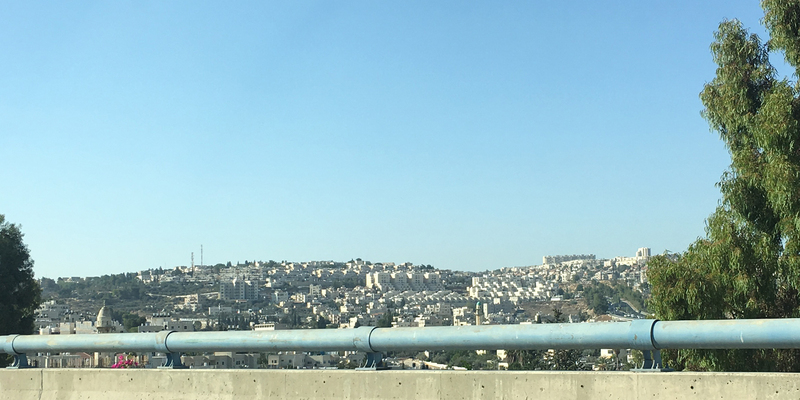 Jerusalem is about an hour’s drive from Tel Aviv and as we approached Jerusalem, my first impression was a sea of beige amongst the forest. 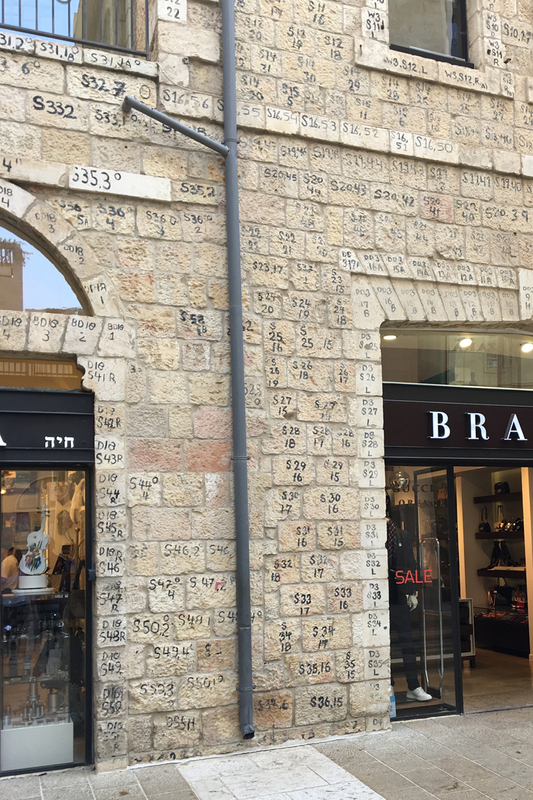 Almost all facades in Jerusalem are clad with Jerusalem stone, giving the entire town an earthy colour. 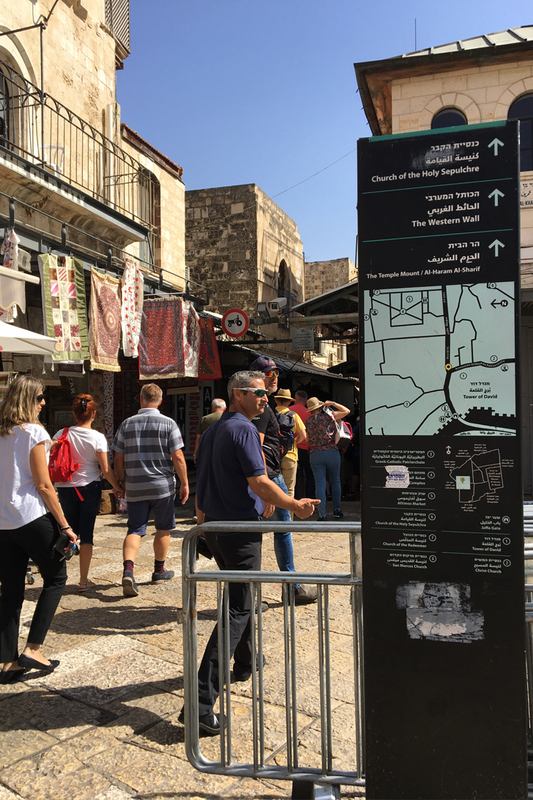 Arriving in Jerusalem we’ve parked up just outside the city wall and entered the Old City through the Jaffa Gate, which is probably the most likely gate for most people visiting Old Jerusalem. 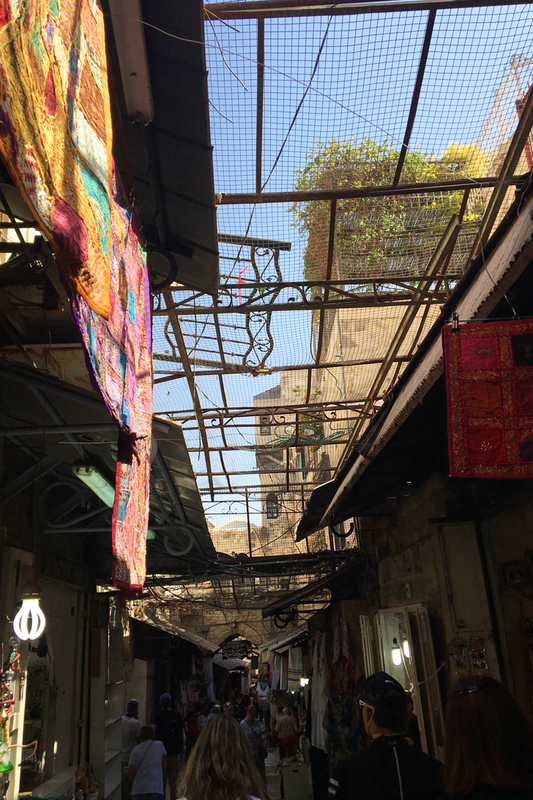 Approaching the Old City, we’ve walked through Mamilla shopping mall, nestled just below the city wall. As you stroll along, you might notice numbering on plenty of the building stones. Intrigued what they meant we asked our host and were told that although the shops here were relatively new they were built using some of the old stones from previous dwellings here. 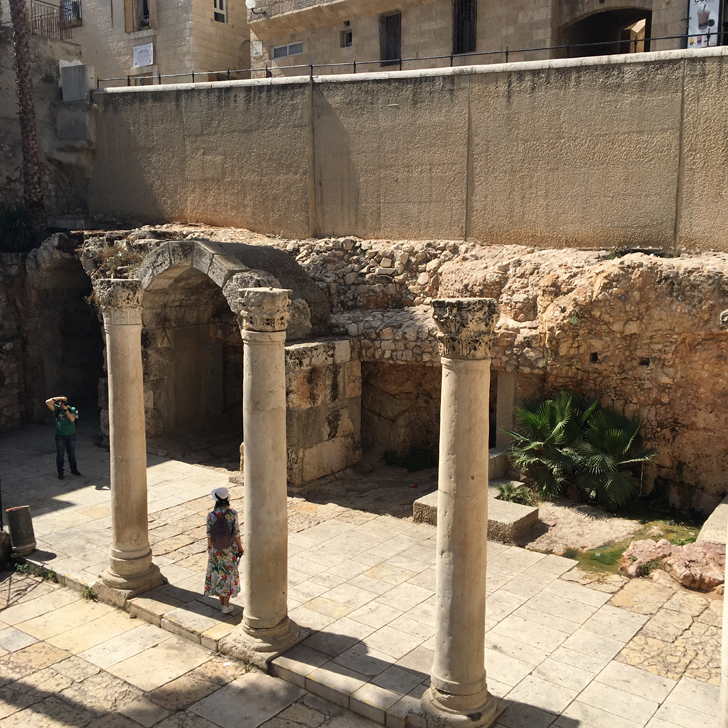 So as the old buildings were dissembled, the stones were marked and numbered and as they re-assembled them, they decided to leave these markers on as a testimony of the old buildings. But this is just a little side story, back to the actual topic. 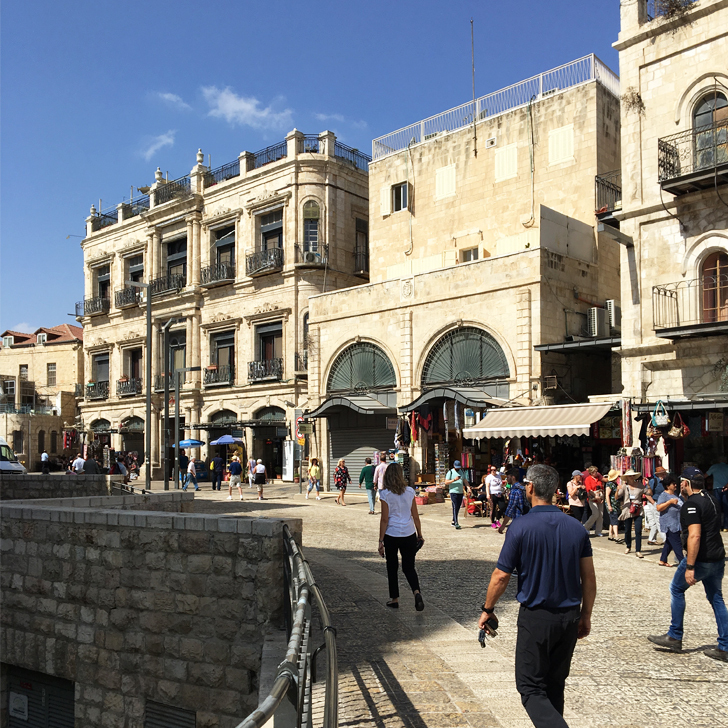 The Old City of Jerusalem, a World Heritage Site since the 1980s, is surrounded by the old city wall and has seven gates through which it can be entered: Jaffa Gate, New Gate, Damascus Gate, Harod’s Gate, Lions Gate, Dung Gate and Zion Gate. 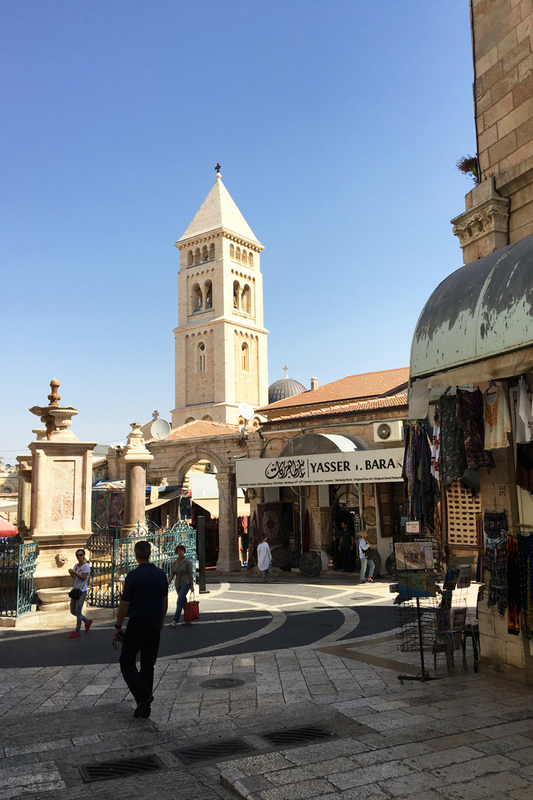 Within the Old City you will find the Christian Quarter, the Jewish Quarter, the Muslim Quarter, the Armenian Quarter and the Temple Mount Area. 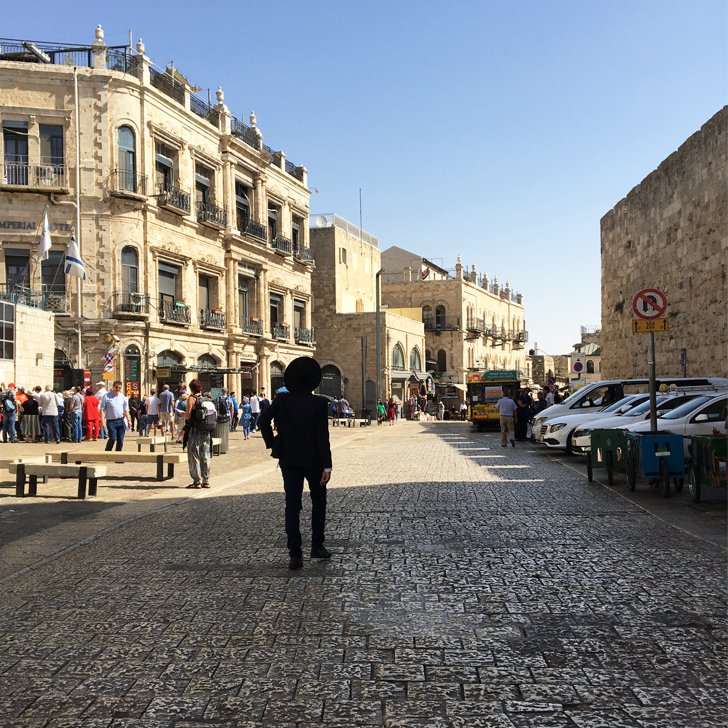 As we entered through Jaffa Gate, the Christian Quarter was to our left, the Armenian Quarter to our right. We headed down David Street, stopping every other minute to look around, snap some photos and take it all in. 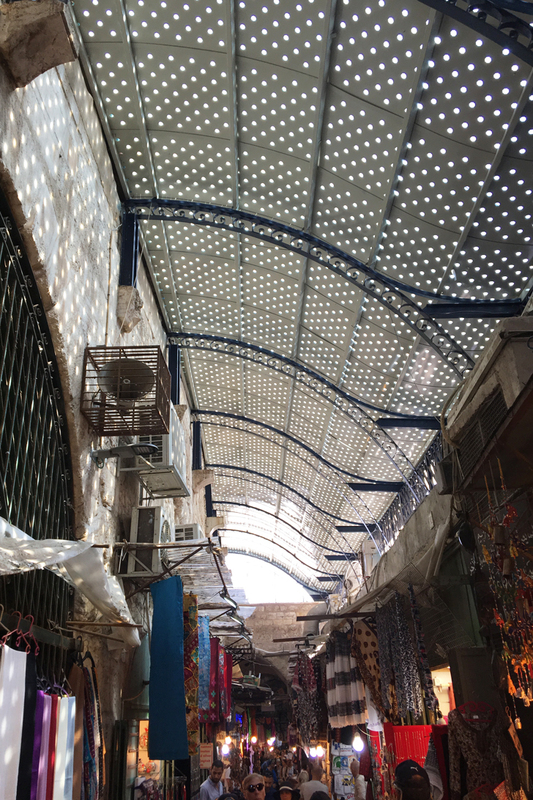 We knew time was limited, but at the same time we really wanted to soak in as much as we could of this ancient city. 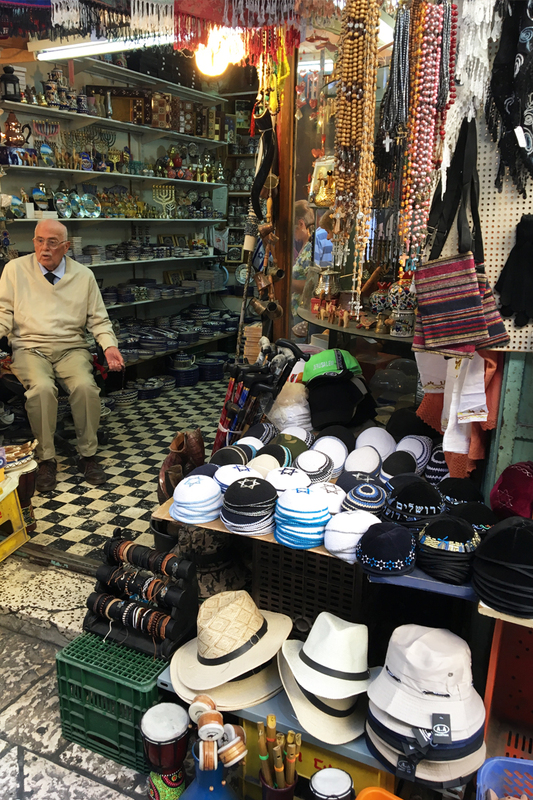 We headed down the cobbled streets of Old City Market and Aftimos Market with stalls either side (quickly glancing at the souvenirs and goods on offer as we passed by). 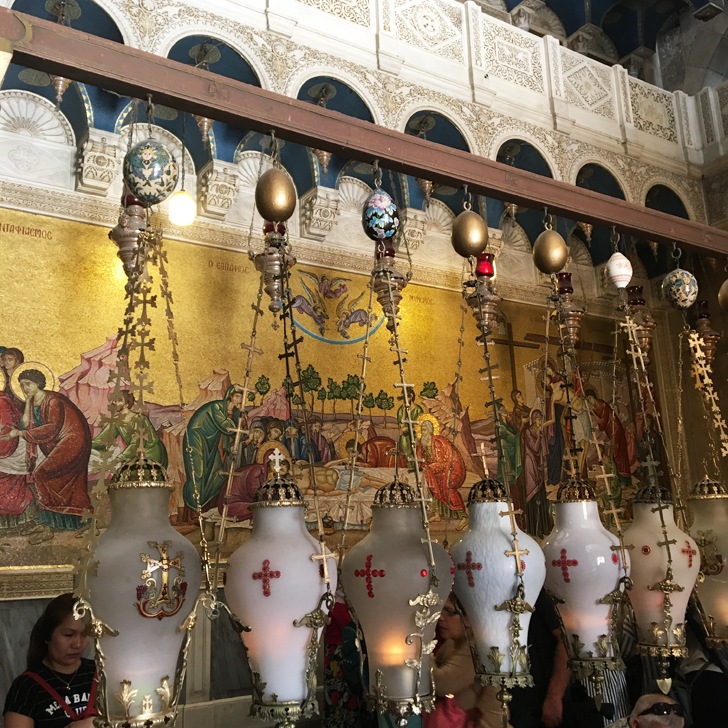 To cover as much ground as possible, we seemed to be zickzacking through the small roads (following our clients / guides for the day), past a few churches until we eventually reached the ‘Church of the Holy Sepulchre’. 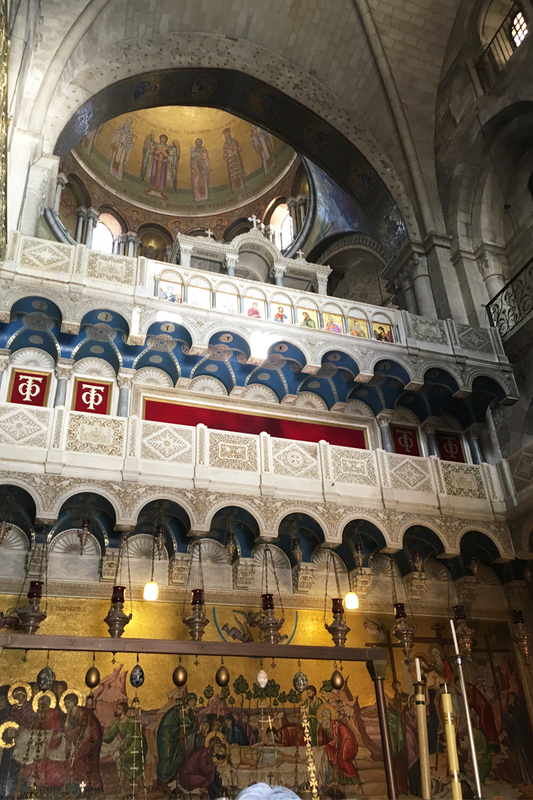 This church is believed to house two of the holiest sites of Christianity: The place where Jesus was crucified (Golgotha) and his empty tomb. Whilst our clients waited outside, we went in to have a look around. 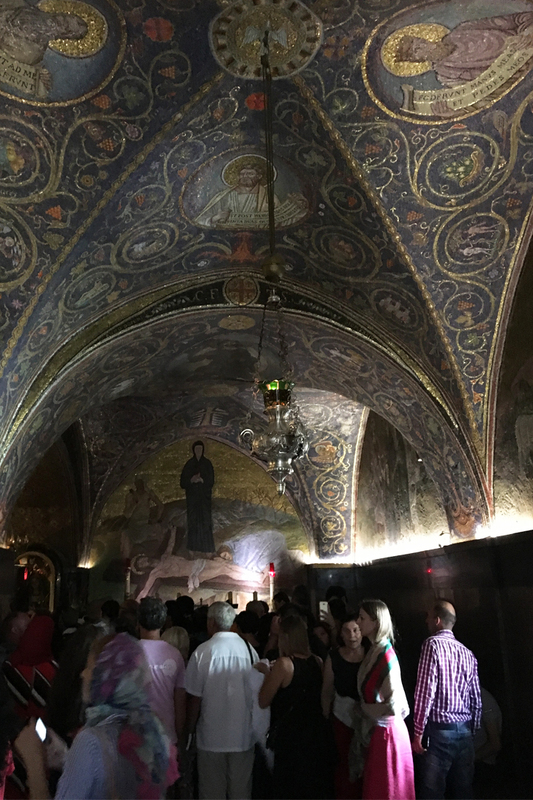 I must say, it is an impressive church to see, but as we weren’t the only ones wanting to catch a glimpse of the interior, walking through the church sure was no walk through the park. It was effectively filled to the brim with people. And all of a sudden we understood only too well why our clients decided to stay outside and enjoy the sunshine meanwhile. 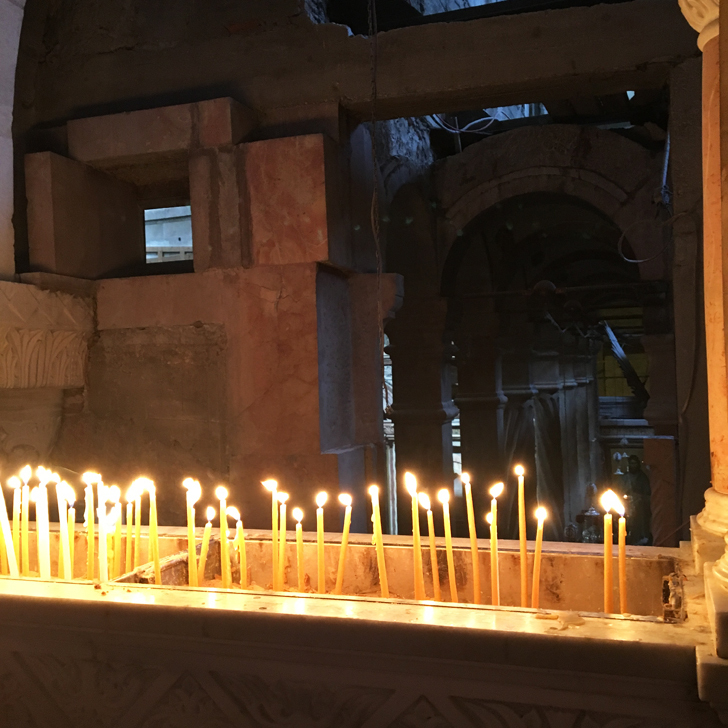 From the Church of the Holy Sepulchre we continued our tour through more small roads, until we eventually turned a corner and approached the Western Wall. A breathtaking moment. 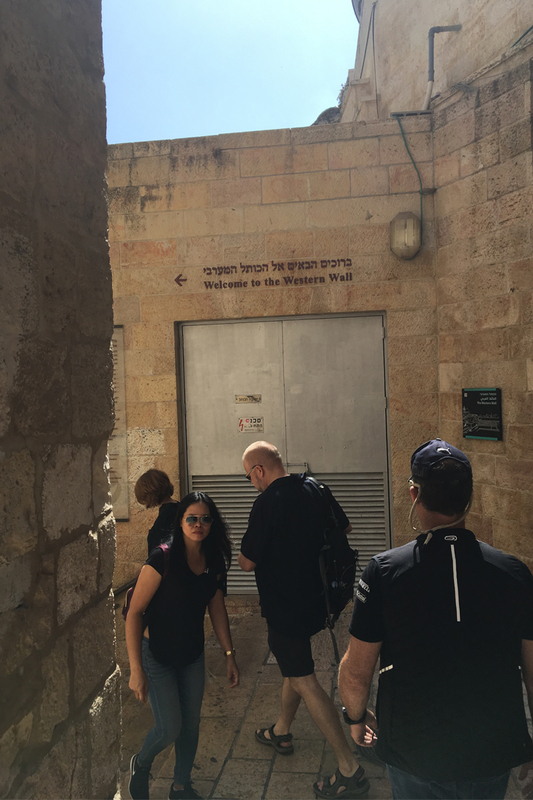 To get to the Western Wall you will have to pass an airport style security scanner. But with the security over, you enter the area high up on top of stairs, giving you a clear view of the wall below. And what shall I say. It is one of those sights that sends shivers down your spine, regardless of your believe. 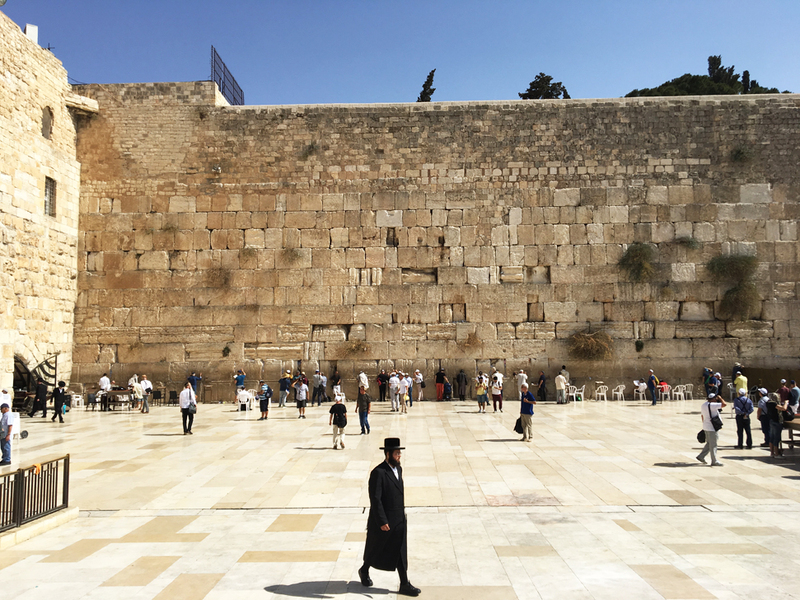 The Western Wall is the holiest place for Jews to come and pray, so to ensure we behave appropriately we had done our homework and checked upfront how to dress for a visit to the Western Wall. The rules for tourists seemed clear: As a woman dress modestly with your collar bone covered, sleeves down to your elbow, do not wear trousers and have your skirt hem below your knees. As a man wear long trousers, no shorts and no sleeveless tops. 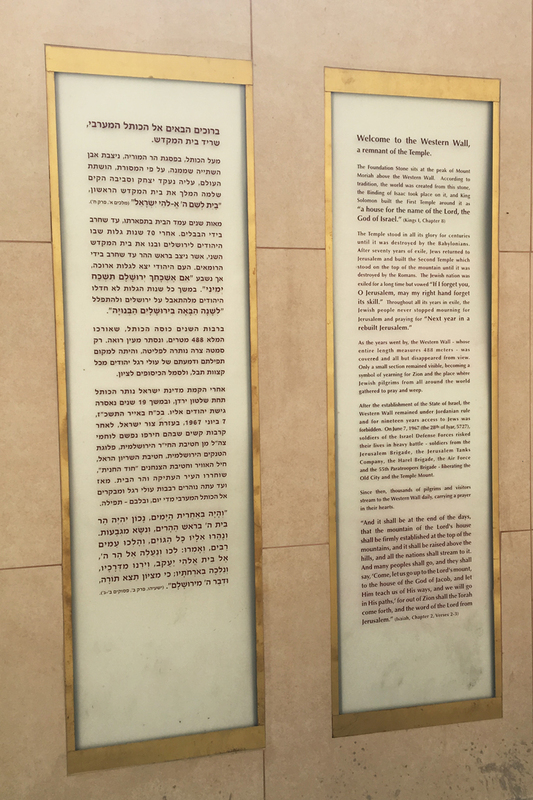 And I must say, although you could see the occasional tourist in jeans or short sleeves, overall everyone actually approaching the wall seemed to obey those rules and was dressed appropriately. 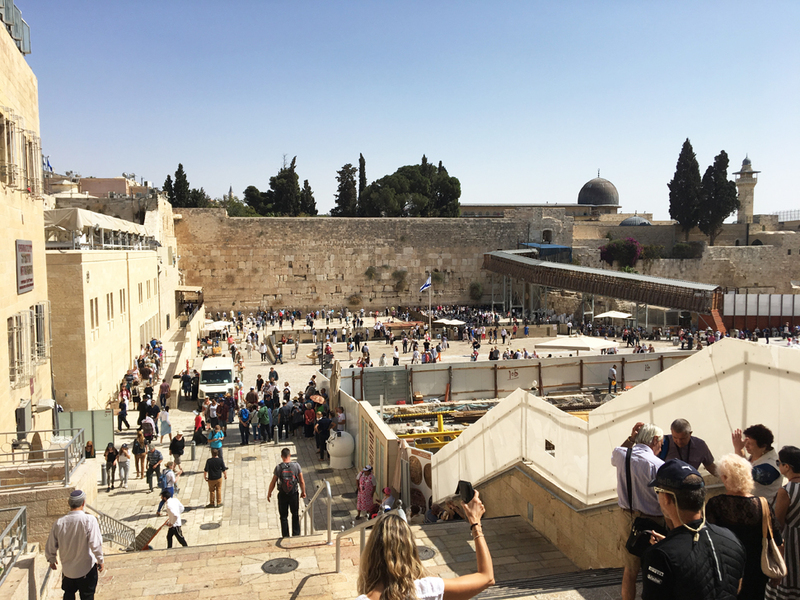 The Western Wall is divided in two parts, one praying area for men and one for women. We walked down, approached the wall and said a silent prayer. And neither of us could really help it. Standing there in front of the wall, tears kept rolling down our cheeks. Unfortunately we forgot to bring a little note to stick into the wall (and didn’t have pen and paper on us), but as we stood there, we could see all the little pieces of paper cramped into the cracks of the wall. But learn from our mistake. 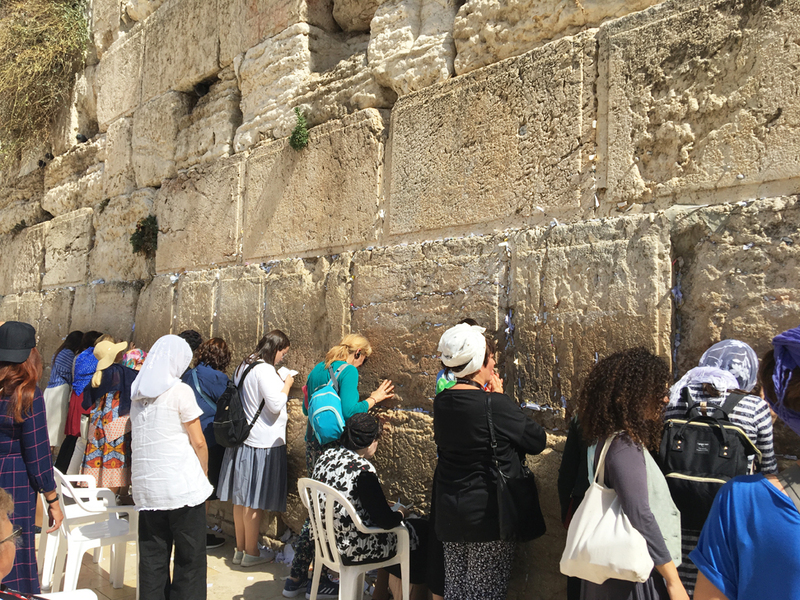 When you visit the Western Wall, make sure you write your wishes and prayers onto a piece of paper before and place it in the wall. 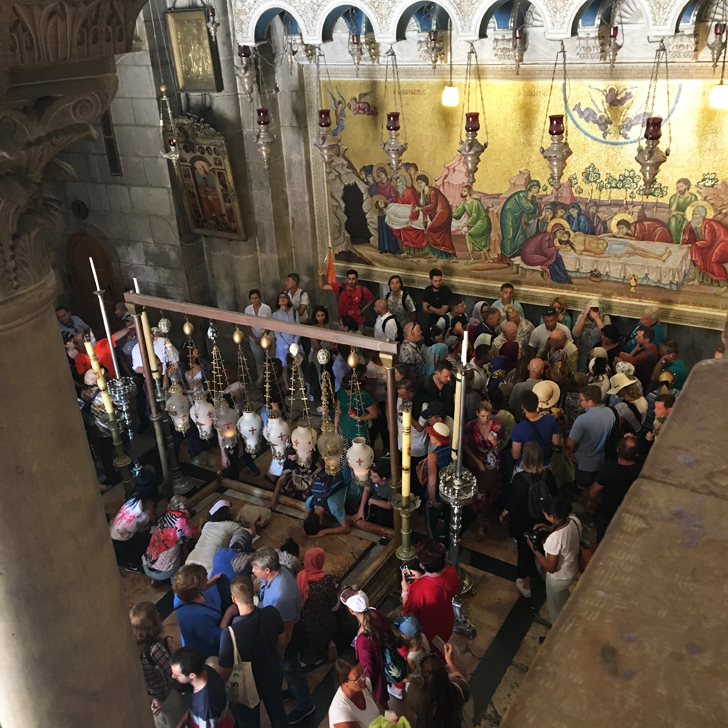 Once we managed to compose ourselves, we headed back to our clients and continued our tour of the Old City of Jerusalem. 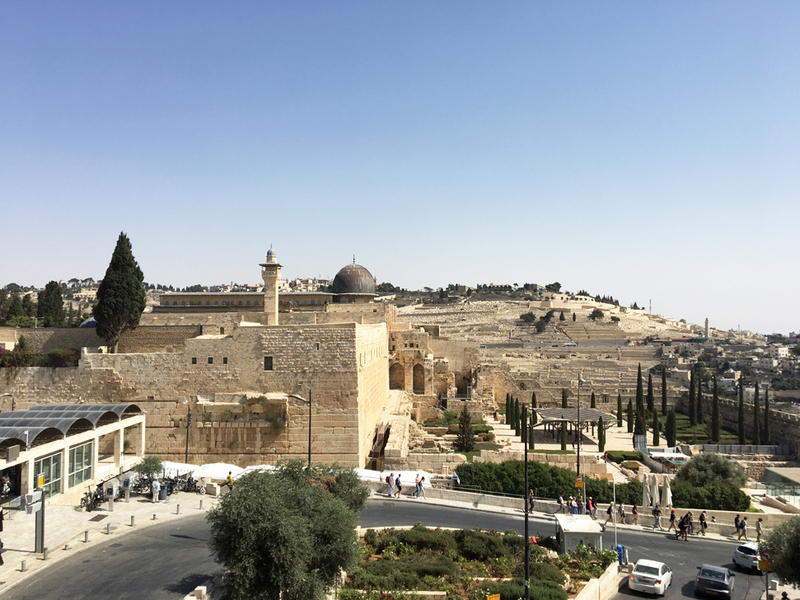 As we walked up another set of stairs to exit the Western Wall area, we got a view of the Temple Mount and the Dome of the Rock with its golden roof. 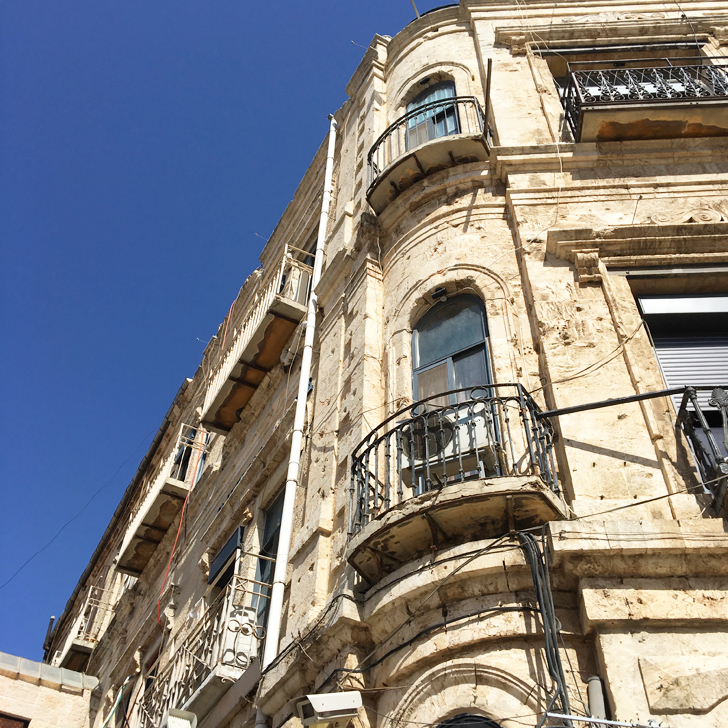 We headed through the Jewish Quarter, past the recently rebuilt Hurva Synagogue and along the inner wall towards the Armenian Quarter, until we eventually arrived back at Jaffa Gate. 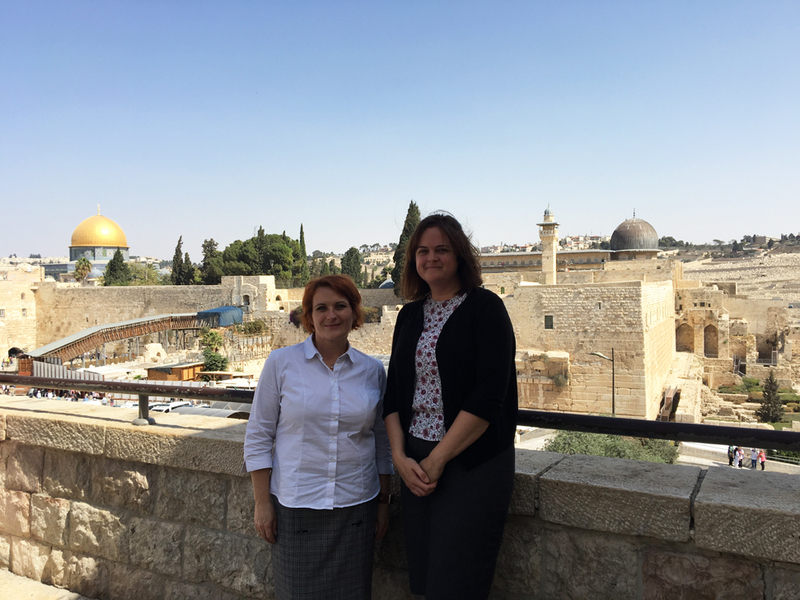 Obviously having only two hours to see the entire Old City of Jerusalem is nowhere enough, but it was all we had and I am really grateful for the chance to visit the Old City of Jerusalem during our work trip. 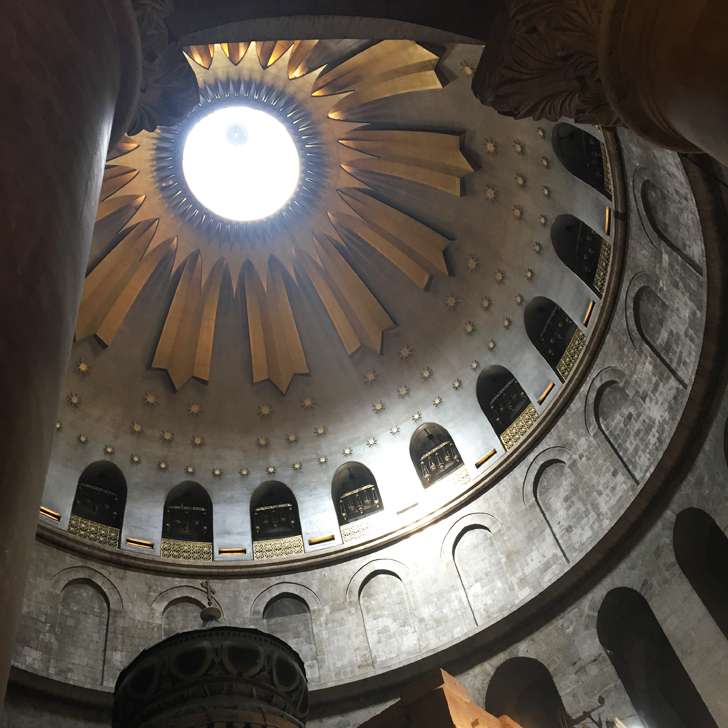 And who knows, maybe one day I will manage to go back and spend more time to properly explore Jerusalem. 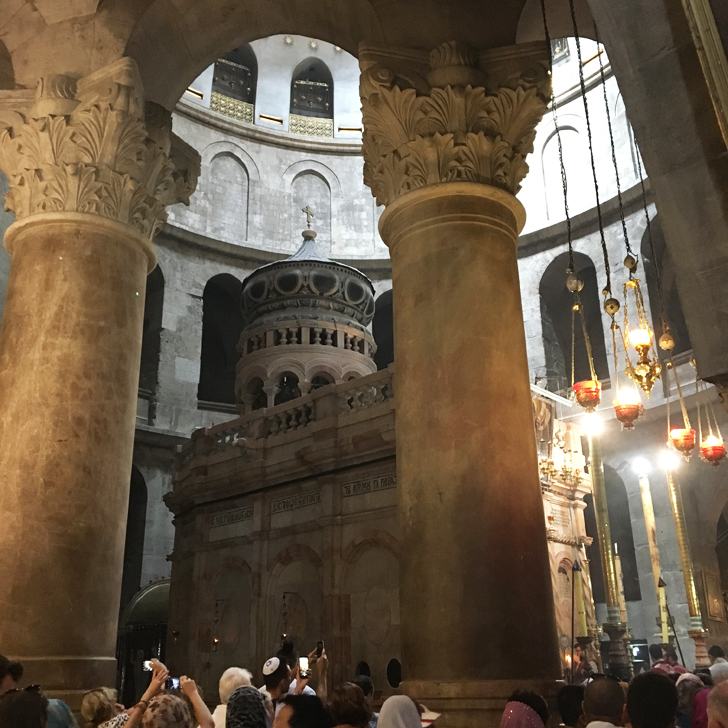 Have you been to Jerusalem? How did you find it? 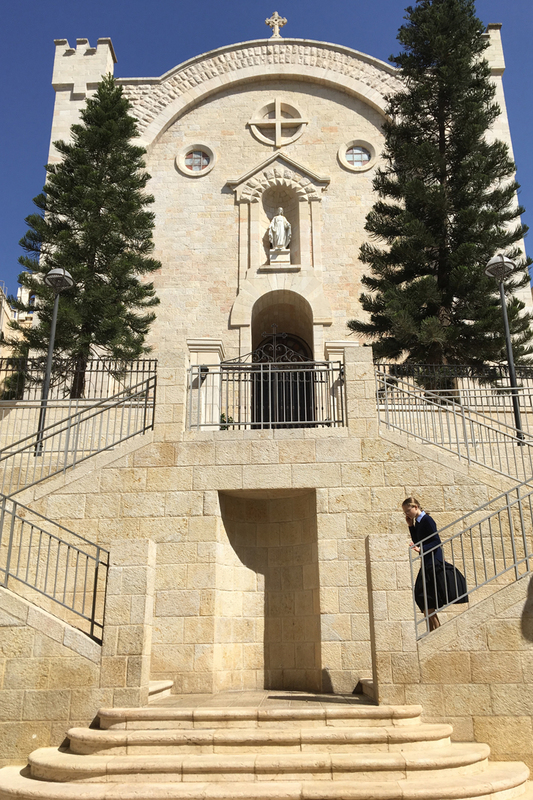 I only had a few hours in Jerusalem as well, it’s definitely not enough time! 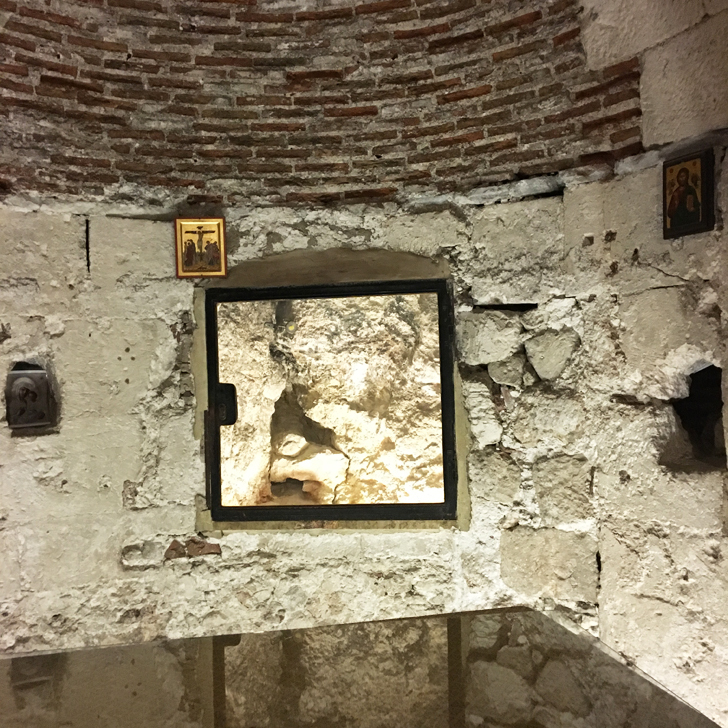 But at least you were able to get a sense of what’s there – more info for the next time you visit 😉 Thanks for sharing this guide and photos, it brought back memories! No it definitely isn’t enough time to see it all. More like a little taster session. And I do hope that one day I get to go back and spend more time there. 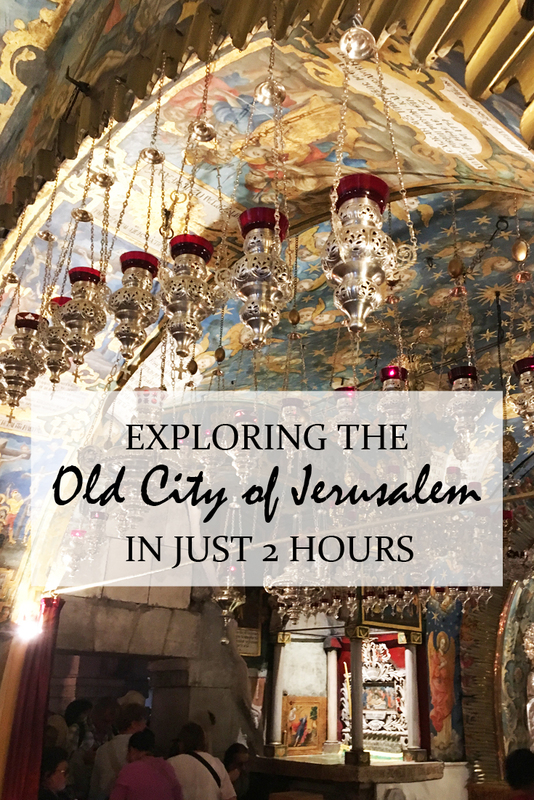 I can’t imagine spending just 2 hours in Jerusalem!! 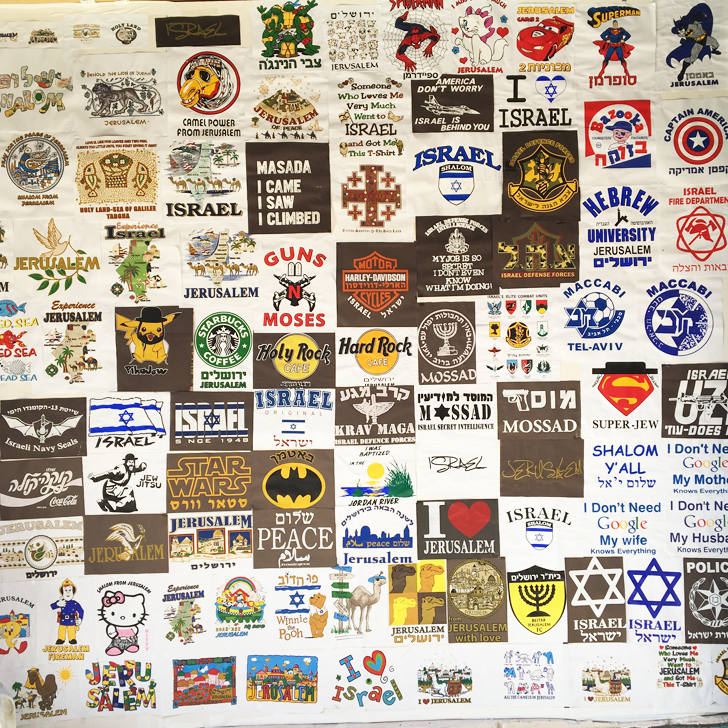 Israel is a dream destination of mine. SO much history! Your pictures are wonderful though, thanks for sharing! Believe me, I would have loved to spend more time there and to explore this amazing city and its history more thoroughly. But since this first and foremost a work trip, I had to take what I could get. But I agree, Israel is a dream destination and I would love to go back. There is still so much to see. Thank you for sharing your experience! So impressed with what you were able to see in only a few hours. I would love to visit someday. What a great post! 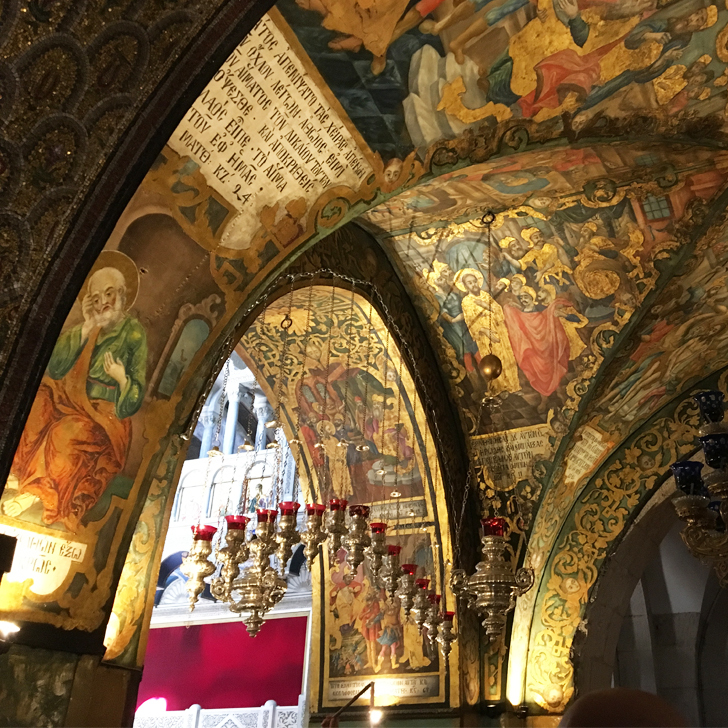 I would love to explore the beauty and history of Jerusalem. So much to see and so little time! I felt like I was on the trip with you, love you writing style! 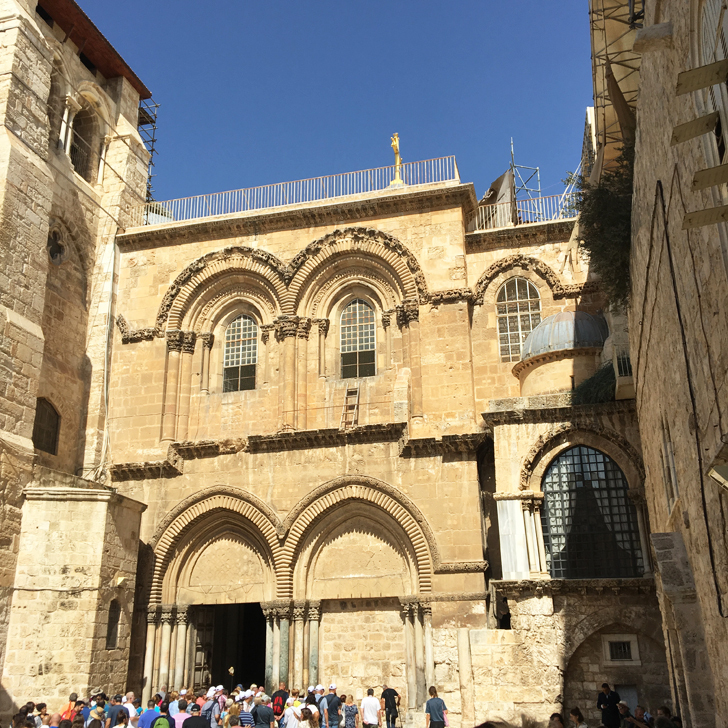 Your pictures are wonderful and Jerusalem looks like a place filled with history and interesting things to do!